Atlas Obscura - Getting where? This is the bit you might notice at street level. Granted, it does have a lot of the usual touristy stuff scattered in with the truly bizarre and unusual, but that’s no bad thing considering there are usually better write-ups on those things than you’d find in a guidebook or official tourism site. Plus, as it’s all mapped, you can find bizarre things next to the normal tourist trail things, so you can get a bit of everything. 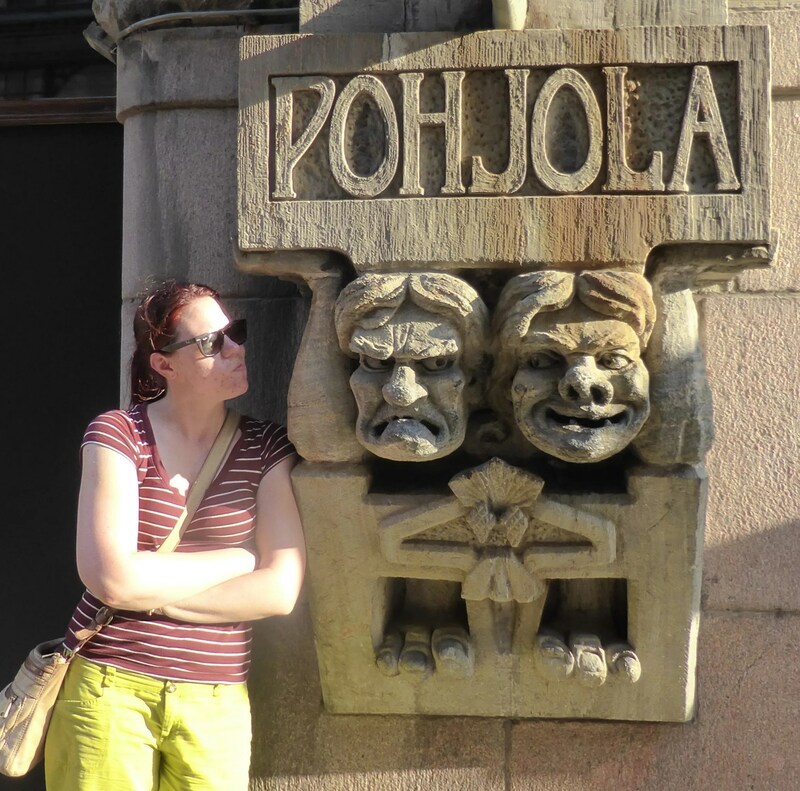 I hit quite a few of its recommendations when I was in Helsinki, and my favourite thing was the Pohjola Insurance building. It’s just an office building in the middle of Helsinki, but it’s got all these absolutely amazing stone carvings all over it. And despite having lived there all their lives, Carolina and Johanna had never noticed all the crazy things all over it, because, as Ferris Bueller is fond of saying, if you don’t stop and look around once in a while, you could miss it. And with this place, you have to look UP. I’ve been having a poke around it for stuff to look for in Paris, and the Arago Medallions seem like something on par with the Pohjola building, so I’ll be keeping an eye out for those. And how could I NOT pay good ol’ Nicolas Flamel a visit? In any case, I definitely recommend putting Atlas Obscura on your usual travel research list. You can even find stuff in your own city, or better, POST really weird stuff in your own city so we can all find it! Anyone have other good sources of strange travel planning?